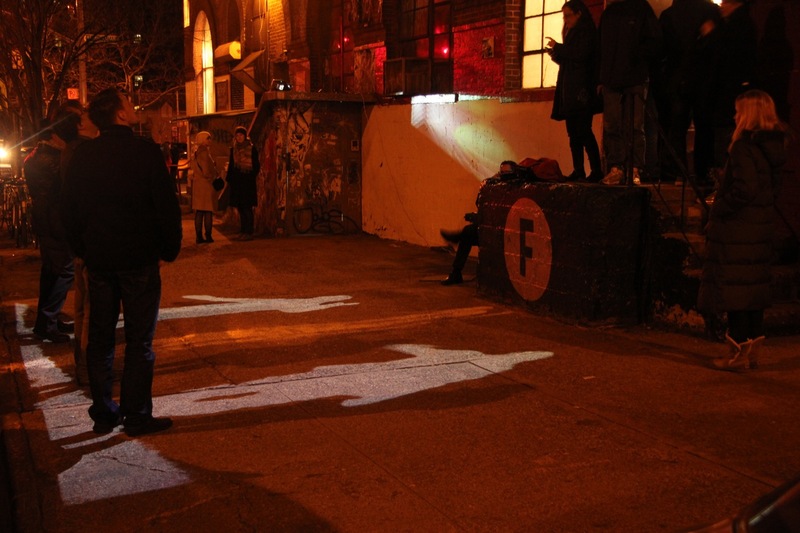 This interactive projection installation examines public space through the use of light and movement. 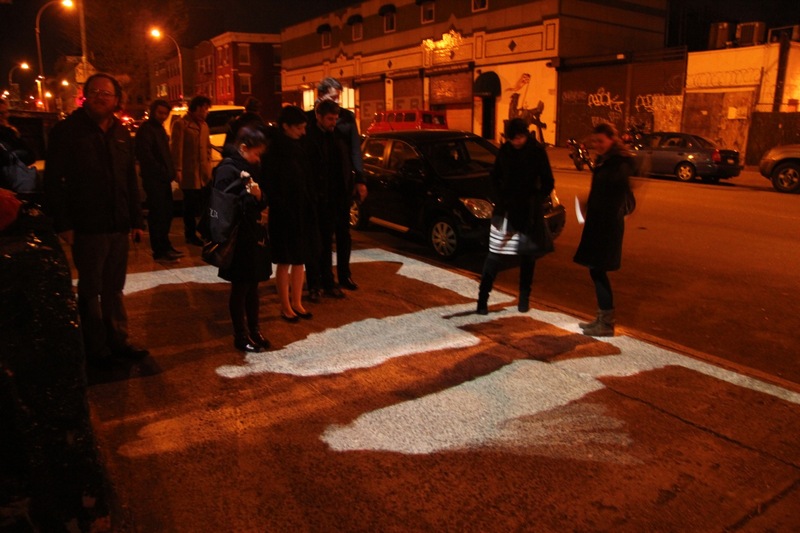 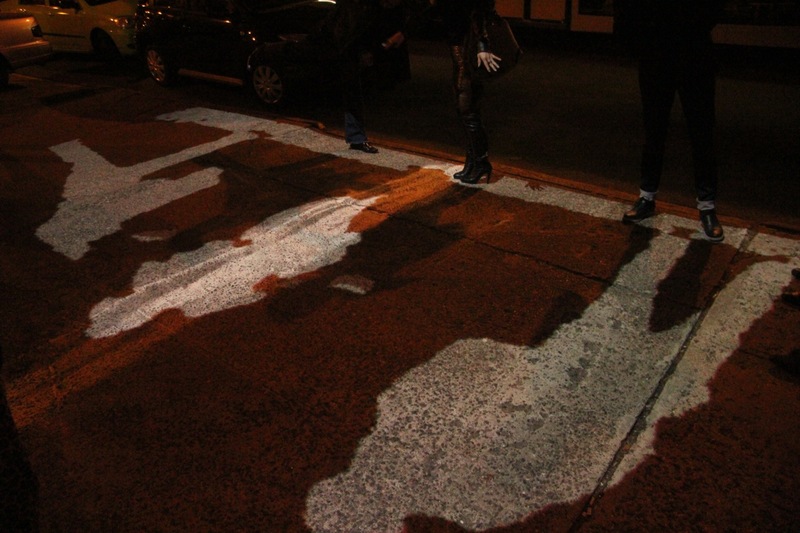 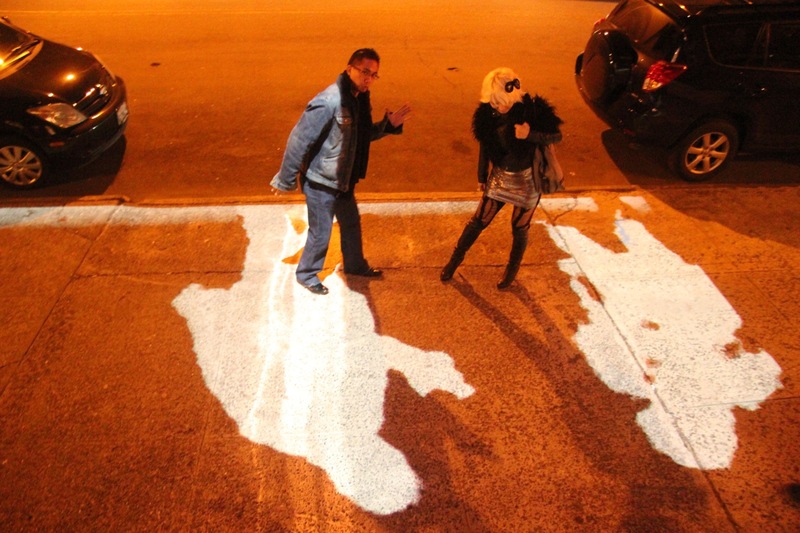 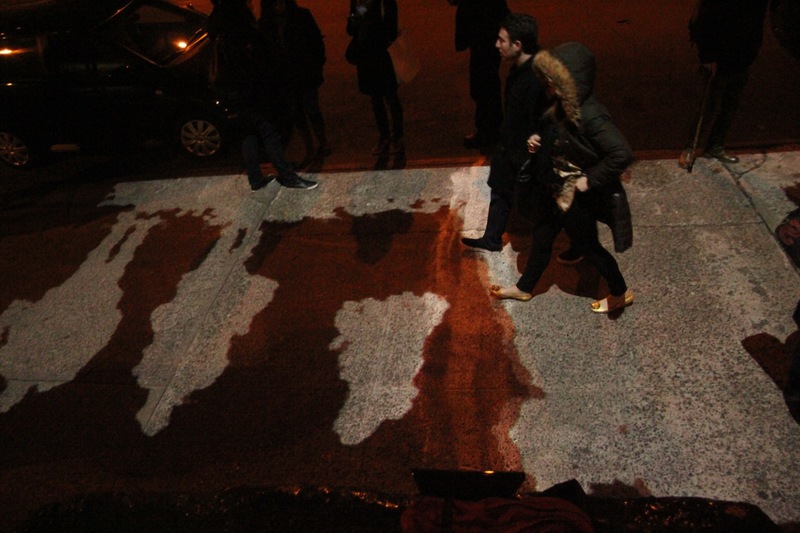 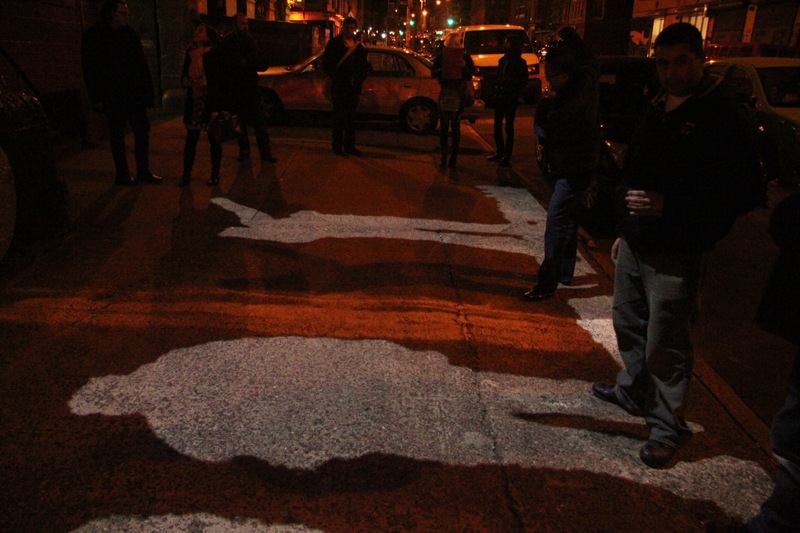 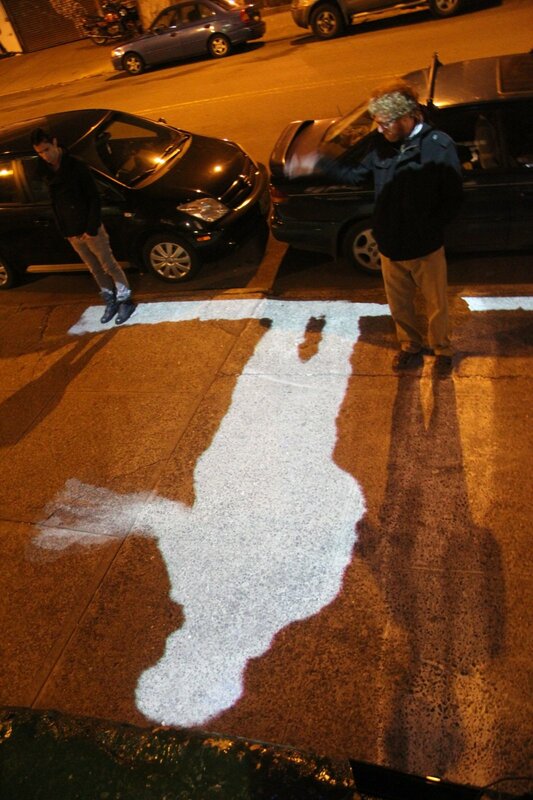 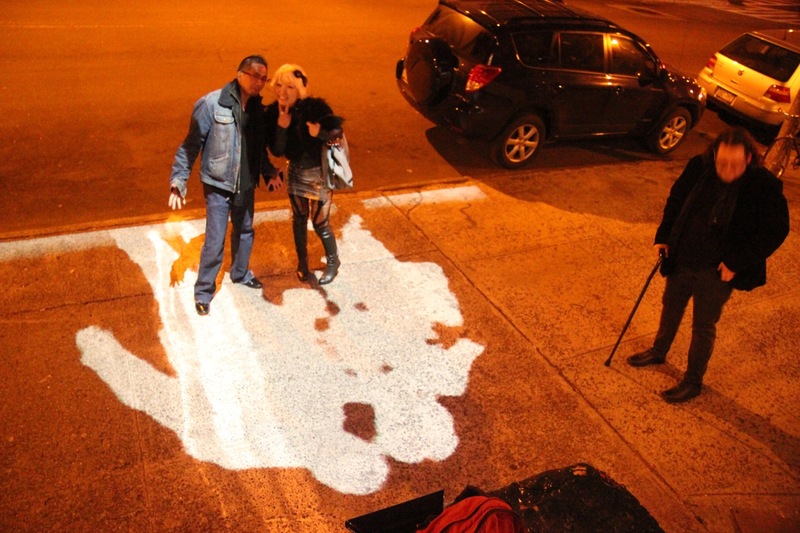 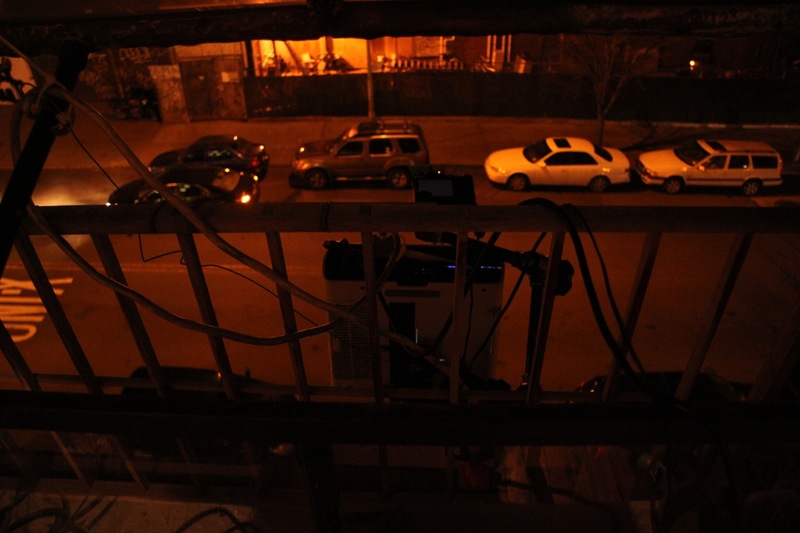 The installation combines live camera of passerbys to create an inverted shadow. 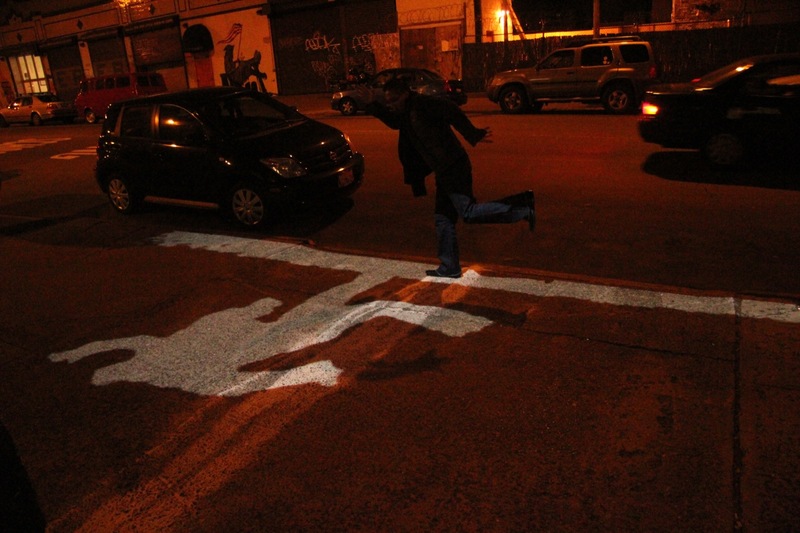 By highlighting the individual in the urban landscape, Slanted Walk attempts to reexamine the effects of light and rhythm in the city through the silhouette. 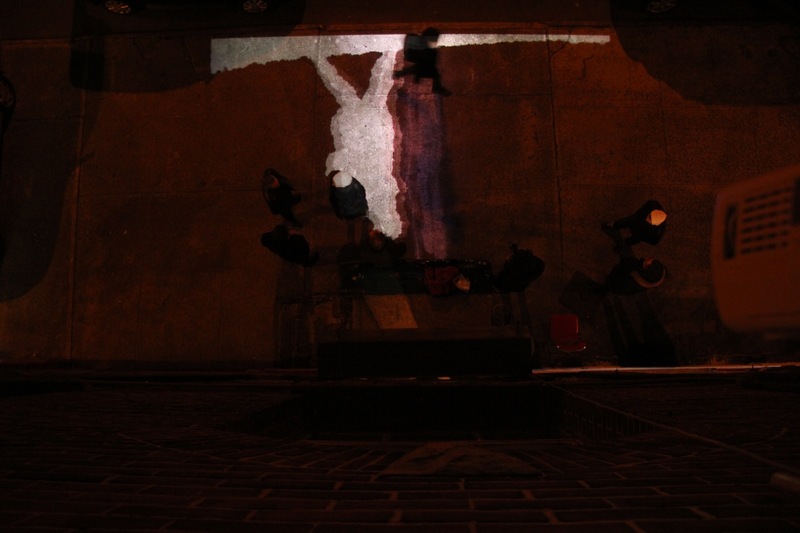 The installation uses the kinect device to record people, and project their silhouettes from above, creating inverted shadows. 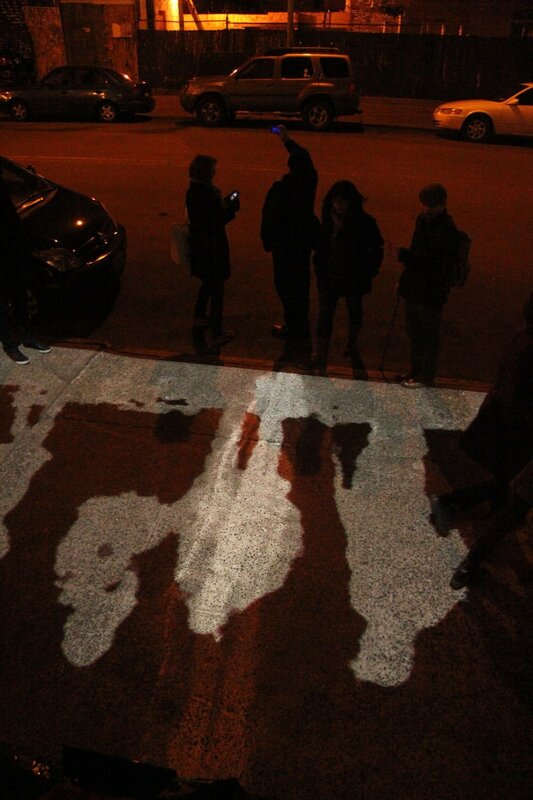 The sidewalk is treated with ceramic microbeads, that reflect light while being a record of the footsteps through the space.